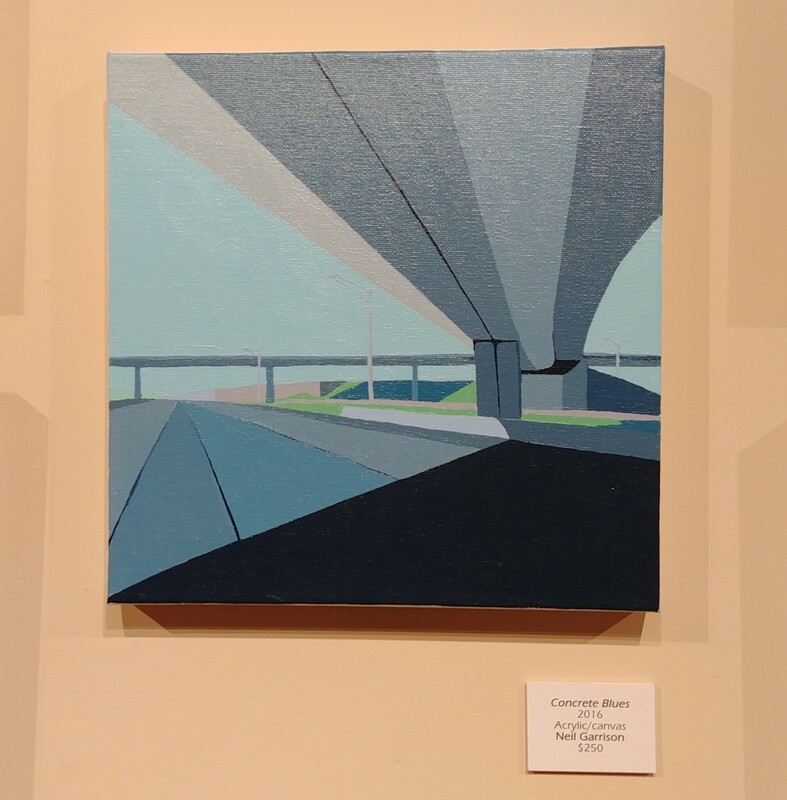 River City Art Association members Neil Garrison, David Gill, Monty and Marty Jones, and Todd Stokes have artwork in The Road Show at the Arts Illiana Gallery in Terre Haute. The opening reception is scheduled 6 to 9 p.m. Friday, Aug. 3. The call for entries for this show was open to artists in North America. Artist-photographer Mary Ann Michna of New Harmony and formerly Terre Haute, was the guest curator. The Road Show will close on Oct. 19 with a reception and awards presentation. 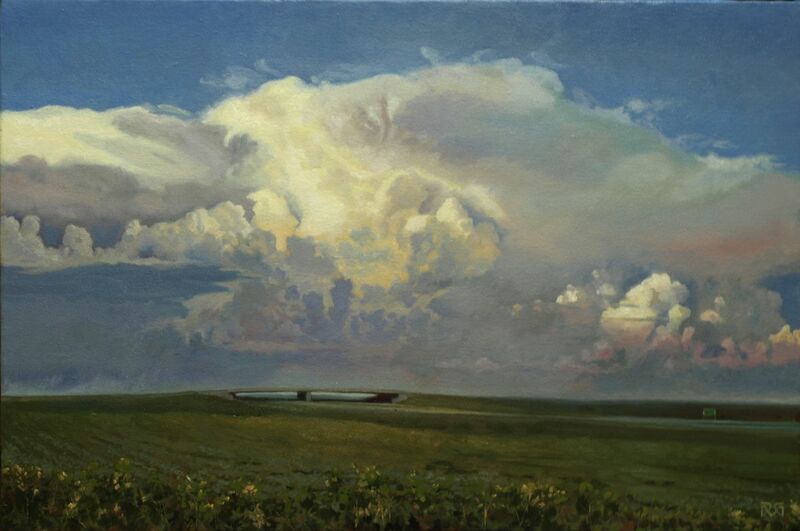 “Prairie Thunderstorm,” an oil on canvas by David Gill of Clay City, and his oil on canvas board, “I Guess My Feet Know…,” are among the 56 works by 36 artists from 6 states featured in The Road Show. RCAA co-founder Monty “Indiana” Jones of Terre Haute has a colored pencil drawing titled “Ford Roadster, 1934” in the show. His son, Marty Jones, has a photography entry titled “Rust Rebel” on display. 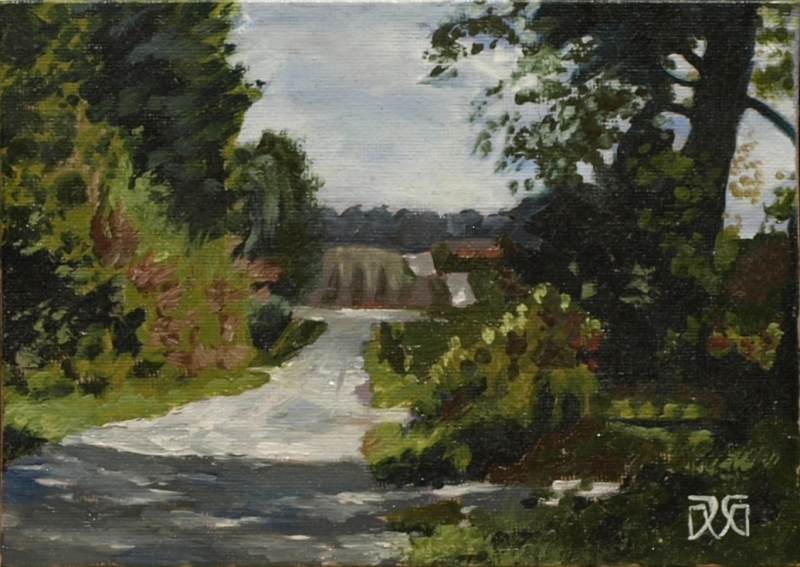 “Fleeting Time, Faded Memories” by Todd Stokes of Terre Haute and Dennison, Ill., also was chosen for The Road Show. It is a mixed media artwork incorporating freestyle hand-cut etched glass ribbons floating over an experimental “fast-pan” photograph. This entry was posted in Gallery Feature, Member News and tagged Arts Illiana Gallery, colored pencil, drawing, etched glass, Ford Roadster, mixed media, North America, oil on canvas, photography, Terre Haute, Terre Haute Indiana, The Road Show. Bookmark the permalink.